Just eight miles west of Manhattan, Newark combines the industrious buzz of NYC with an independent culture of its own. 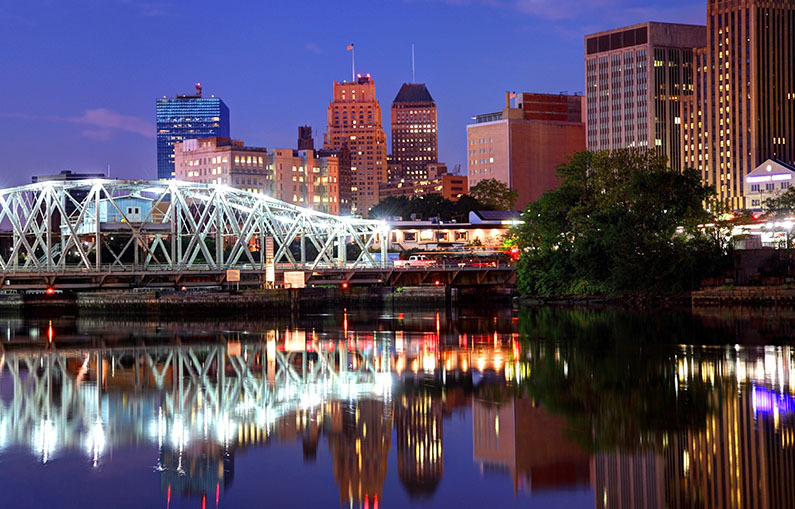 The largest city in New Jersey, Newark is home to revered universities, sports arenas, and leading corporations. New Jersey’s oldest museum, the Newark Museum, houses an extensive collection of Tibetan art, paintings by O’Keeffe and Cassatt, and other windows to the ancient world. Behind the museum sits the Alice Ransom Dreyfuss Memorial Garden, a picturesque backdrop for community events. Wander through and uncover stories of art and science; there are no two exhibits alike. A stunning cathedral located in the Lower Broadway neighborhood, the Cathedral Basilica of the Sacred Heart offers visitors a quiet refuge. With incredible stained-glass windows and architectural detailing reminiscent of Notre Dame, Basilica of the Sacred Heart exudes a striking sense of peace. Completed in 1954, the cathedral has made its home in Newark for over 60 years. Directly adjacent to the Cathedral is Branch Brook Park, the site of the annual Cherry Blossom Festival. Travel here in April and experience the splendor of the Festival for yourself, a romantic tribute to spring. The park spans 360 acres and bares many treasures—lakes, bridges, and sculptures—and can be enjoyed in all seasons (except maybe when it’s ten below). At the revered Rutgers Institute of Jazz Studies, the archives shine a spotlight on the fabled history of jazz. Both musicians and listeners can find entertainment in the institute’s comprehensive collection of music, instruments, and memorabilia. Expect to discover a world of jazz history; afterwards, you can take a tour of Rutgers’ lush and extensive campus. To plan your trip to Newark or for an extended guide of things to do, visit the official Newark city guide at http://www.newarkhappening.com.